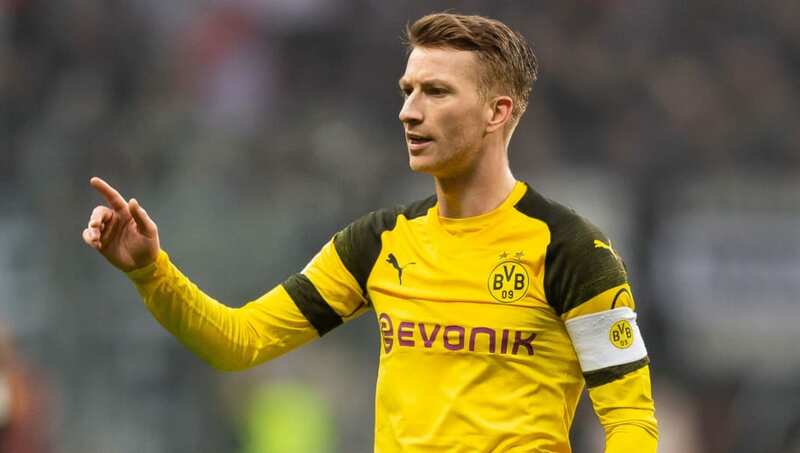 ​Borussia Dortmund's head of the licensed player division and former midfielder Sebastian Kehl has confirmed that Marco Reus will be unavailable for the club's upcoming Champions League last 16 tie against Tottenham. While ​BVB gave the club captain every chance to prove his fitness ahead of the first leg of their Champions League last-16 tie, Kehl has confirmed that ​Reus will be absent for the game at Wembley. As quoted by ​ESPN, he said: "We would, of course, have liked to have him in London, because his presence is a bit intimidating for the opponent. But we'll compensate for his absence." News of Reus' absence will come as a huge blow for Dortmund, with the forward in fine form for Lucien Favre's side this campaign, scoring 17 goals and providing 11 assists across all competitions. Lukasz Piszczek, Julian Weigl and Paco Alcacer all seemingly unavailable for the game having failed to travel to London with the rest of the squad, according to Florian Groeger of Ruhr Nachrichten. Instead, the current ​Bundesliga leaders may be forced to rely on 18-year-old Jadon Sancho to provide them with some attacking impetus, having already scored eight goals and providing 13 assists this season.